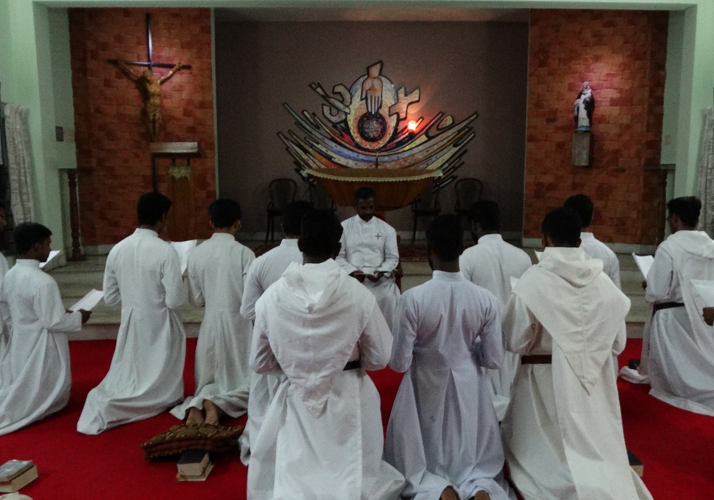 The Simple Professed brothers renewed their vows during the evening prayers. Rev. Fr. Joseph Muthuplackal, the Minister Vice Provincial, received the vows. The community prayed for them and congratulated the brothers.